The Olympics aren’t the only exciting event London is hosting this year! 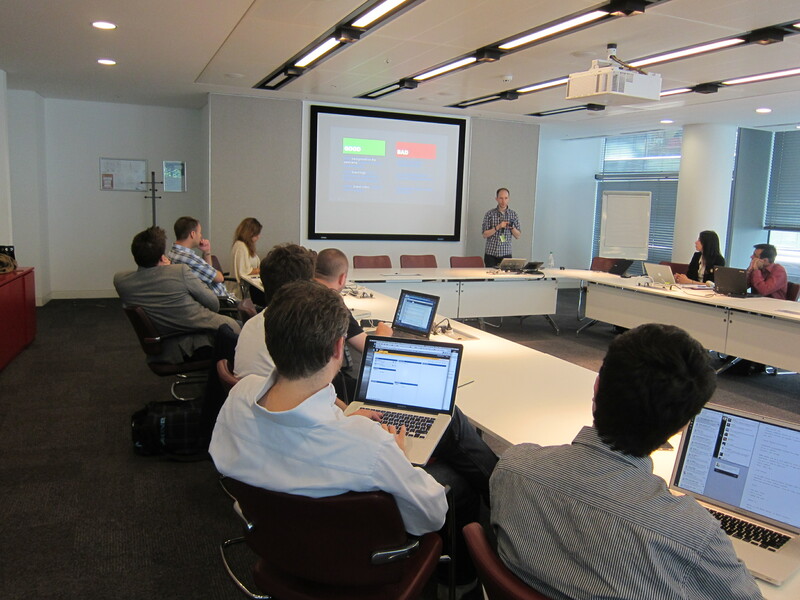 MAW London kicked off today with sunny skies and a great lineup of startups. The participants arrived early this morning ready to tackle an exciting week at MAW. Brian Hoskins kicked off with the morning session, welcoming the startups and setting agenda and goals for the week. Hoskins discussed the MAW program gives, which include featured placement in Marketplace, special support from Microsoft Advertising, free phones, and tools from Microsoft BizSpark. The companies were then introduced to iLink Systems and Motivity Labs who will be assisting in the coding throughout the week. The participants also had a chance to introduce themselves, their companies, and their app idea to the crowd. Dave Crawford, guru of all things Metro UI, then delivered a session on Windows Phone UI/UX, providing an overview of the platform, specifics of what makes a great app, and tips for startups starting out on the platform. Following the session, the startups took a lunch break and had some informal networking time. In the afternoon, the startups had time to set up consulting sessions with Motivity and iLink to discuss their development needs and project plan for the week. As part of MAW, Microsoft is providing an additional week of development support after the event is over. Along with Brian Hoskins, other members of Team Microsoft included Bindi Karia, VC/Emerging Business lead for the UK. 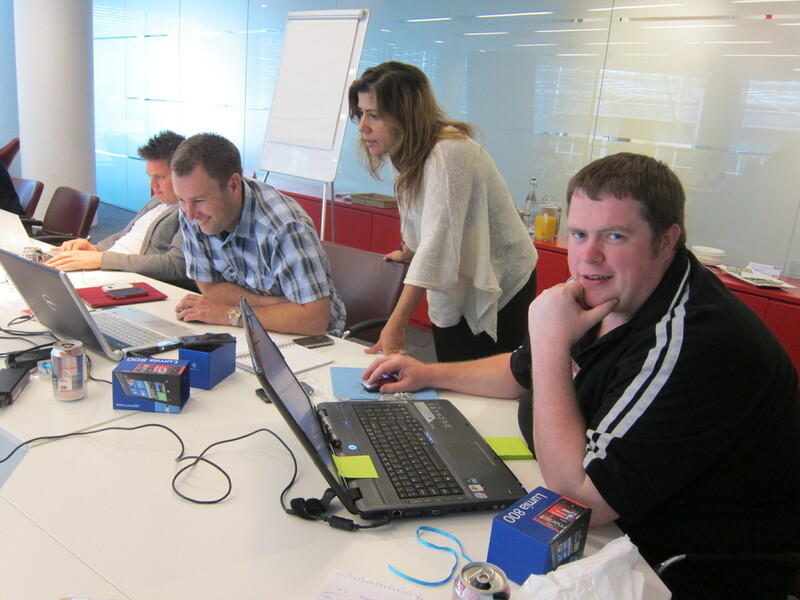 Microsoft representatives were on-hand to support with business and technical questions throughout the day. The startups at this event are getting up to speed quickly on the platform. 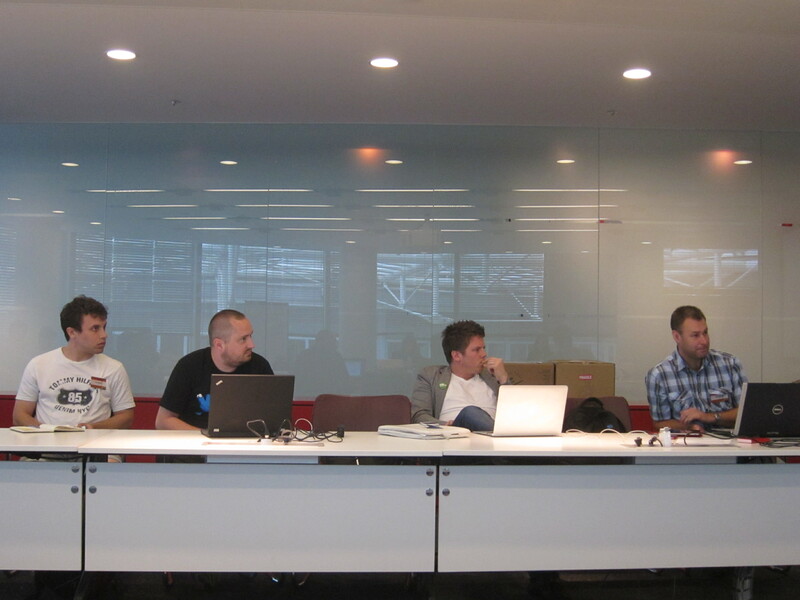 All seven of the startups are BizSpark members and have used the tools before. Some are new to Windows Phone but had excellent questions about the current release, as well as the upcoming Windows 8 tablet release and Windows Phone 8. WP8 will include key developer features, such as support for native code, improved multi-tasking and location notifications, as well as support for NFC and mobile wallet. 1:1 business consulting sessions started earlier than usual this week. Today, Brian met with Base CRM, a Chicago and Poland-based startup building a mobile-first CRM system. Base plans to integrate internal and external customer information in an easier way for today’s mobile work force, a major pain point for small and medium businesses. One of the coolest features they is their “Sync Service” which allows people to work with their CRM locally on the phone, without the need for a data connection. According to Base, this has been a common struggle for their customers. Base recently raised a $6.8M Series B round led by Index Ventures, along with Social + Capital Partnership, OCA Ventures, and the I2A Fund. Since the beginning of the year, the company grew its users by more than 500 percent and is being used by tens of thousands of businesses worldwide. Base’s progress to date was especially impressive. They have already built a working prototype and plan to release their app to Marketplace in the next two weeks. Mobile business apps have been an underinvested area in mobile, so keep an eye on this company as they have an opportunity to disrupt the current way people think about mobile CRM today. Everyone is looking forward to day two of MAW London which will bring more development sessions and 1:1 consulting. Check back tomorrow for a day two update or Twitter for the most updated info.